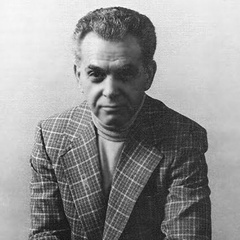 The Full Version of "Comics Will Break Your Heart"
Jack Kirby would have been 99 today. I thought about that during these last 23 hours. Putting aside any debate about who deserves what credit when it comes to Stan Lee, Steve Ditko, and Kirby, no one can deny the man was a genius. That quote often is a bit truncated though, because the full quote comes from when Kirby warned someone to stay out of the field, "Kid, you're one of the best. But put your work in galleries. Don't do comics. Comics will break your heart." As someone who was so horribly mistreated by the comic-book industry his words have the sting of a person who was done wrong and is mad, but the statement also carries an immense sadness. After all, he is saying that he truly did give his heart to the field, only to have it eventually spurned. We owe more to Kirby than he ever received while alive. I hope whatever settlement his family was able to reach with Marvel in regards to some of the respect and money he should have been given allowed his spirit/soul/essence some extra bit of peace.